I first heard Margaret MacArthur perform when I was a teenager. 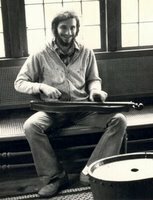 I had just begun learning to play the dulcimer and she was one of the first players I had the chance to hear. She performed at The South Street Seaport Museum in New York City. I was probably 17 at the time. Margaret demonstrated a rare virtuosity on the dulcimer. She would play intricate counter melodies and harmonies to her voice. Her style was very understated yet extremely elegant. A few years later I was hired to play at a festival for the first time. Margaret was also performing there. From the moment I met her I considered her a friend. I would see her on occasion throughout the 1980’s while touring. I was always happy when we were both booked at the same festival. In those days touring was as much about seeing friends as it was about playing music. Margaret had a fascinating collection of historic dulcimers and related instruments. It was like being in a museum where I could touch and play everything! 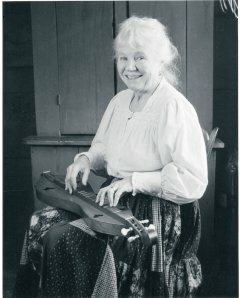 She told me that a lot of her style and technique on the dulcimer came from playing zither. Margaret had great left hand technique; lots of hammer ons and pull offs. slides. etc. The last time I saw her was at a concert she gave in East Lansing, Michigan a few years ago. She was just as vibrant, creative and alive as she had always been. Margaret passed away May 23rd, 2006.